Myanmar (Burma) is a country torn by natural and man-made disasters. The nation successfully elected a new government after half a century under brutal military rule, but military campaigns continue against many ethnic minorities—which make up 40 percent of the population. The Rohingya people are seeing their homes and villages destroyed, labelled a "refugee crisis" with thousands fleeing to nearby Bangladesh. Since 2011, hundreds of thousands have been displaced by the violence. 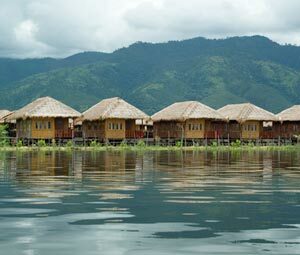 Meanwhile, citizens are still recovering from the devastating effects of 2008's Cyclone Nargis, which destroyed livelihoods and killed 140,000 people, as well as more recent storms. As Myanmar struggles to rebuild and find peace, please pray with us for the Lord's mighty hand to bring healing and hope. Thousands of Rohingya fled western Myanmar into neighboring Bangladesh in August and early September of 2017. A military crackdown has destroyed villages and killed hundreds. According to the United Nations, the fleeing that started in July is expected to continue. Certain regions of Myanmar are littered with landmines, and the military is reluctant to relinquish its presence. Even if these problems are solved, some young people, who grew up in refugee camps, do not want to return to homes they no longer know. Please pray for peace and safety for the refugees. Pray God will provide for all their needs as they begin new lives. As the military wars against ethnic minorities seeking religious freedom and other rights to equality, hundreds of villages have been destroyed, and thousands of people have been displaced and brutalized. 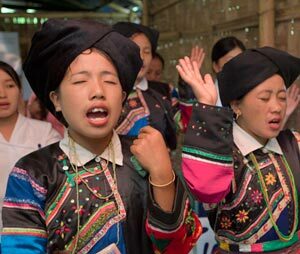 The violence increased in 2011, when the military broke its 17-year ceasefire with the Kachin Independence Army, which fights for the 95 percent Christian Kachin people. And in 2012, a fervent campaign began against the Muslim Rohingyas, a minority people given illegal immigrant status despite their presence in the country for more than 100 years. Please pray for peace for these and other ethnic minorities. Ask God to direct government officials toward freedom and servanthood. In recent years, hundreds of villages have been ravaged by cyclones and wartime violence. Not only do these events rob villagers of the fragile huts they live in, but they also destroy farms and other chances of making a living. 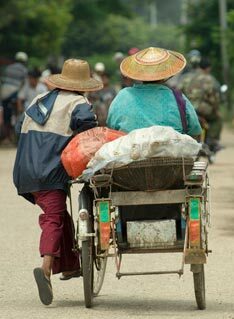 Coupled with the grief of lost loved ones, the people of Myanmar have a tough road toward normalcy. Please ask God to make His love known to them in this time and to provide tools and manpower to rebuild their lives. Thousands of children lost parents in Cyclone Nargis, leaving them vulnerable to human trafficking, child labor and lives as beggars. But Bridge of Hope centres offer them the chance to escape some of these hardships with free nutritious meals, educational training for brighter futures and lessons from the Bible. Please pray for more Bridge of Hope centres and that violence will not shut down those already operating. Pray God will guide the staff and allow His love to penetrate the hearts of these children and their families. 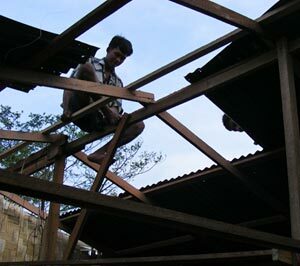 Much of Myanmar does not allow the construction of church buildings, but people are still embracing the love of Christ. Some walk for miles to reach a fellowship, and others get creative in making meeting places where they are. Pray God will provide church buildings—of whatever type—for all of them and the government will turn a favorable eye toward church buildings in the future. New believers often face persecution from their communities and their loved ones. 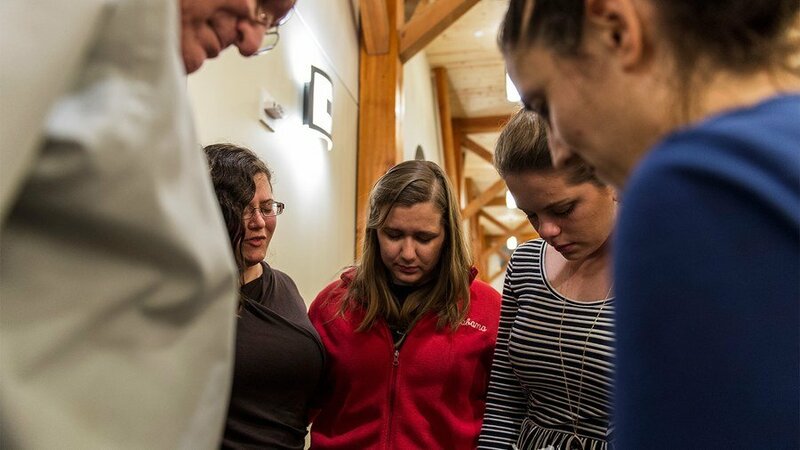 Because of this, it has become common for pastors to take young people into their homes when they leave their traditional religion for the love of Christ. Please pray for new believers, young and old, to stand firm in their faith no matter what may be thrown at them. Ask God to use their faithfulness to open the eyes of those who oppose them and bring them to His salvation.